Discussion in 'iPhone and iPad Games' started by NetDevo, Dec 18, 2016. 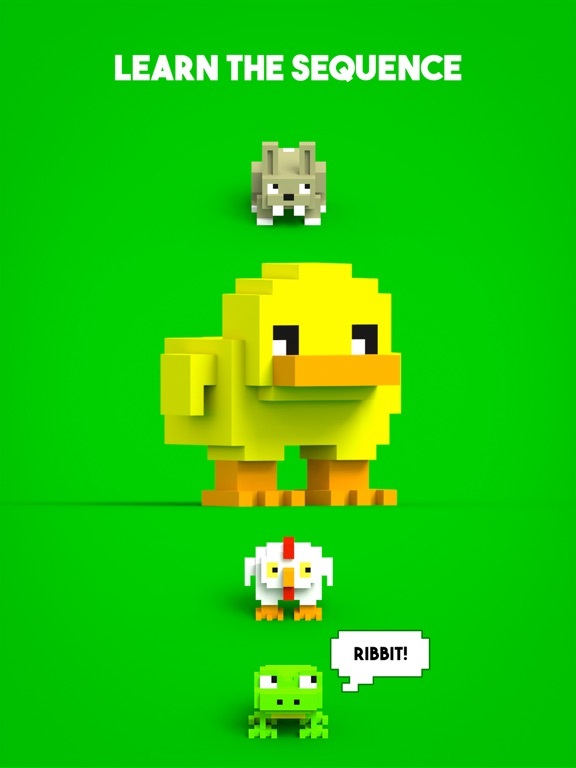 We've just released our new game called Strange Pets! 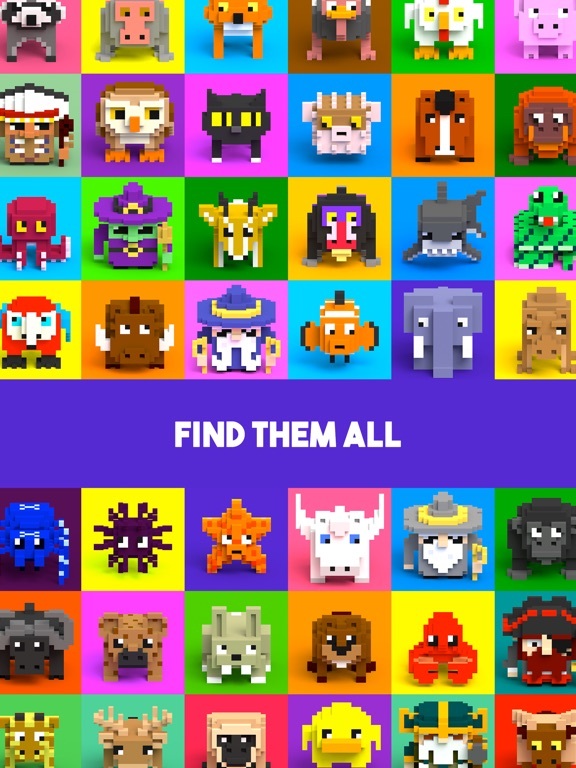 In its simplest form, Strange Pets is a game about finding all the pets you can. You do so, by traveling and parachuting from your plane onto exotic faraway places in the search for new pets. 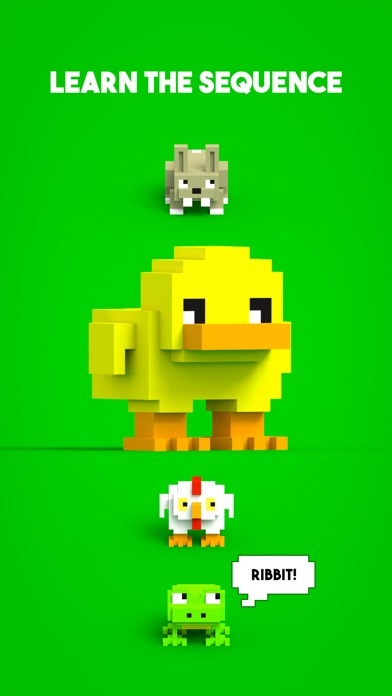 During actual gameplay, you find new pets by combing two pets together. The pets have a specific sequence in which they relate to each other. Learning and remembering this sequence is key to help you decide how to move and where to place your pets. Getting your pets in the right place at the right time can reap rewards in the form of combos. 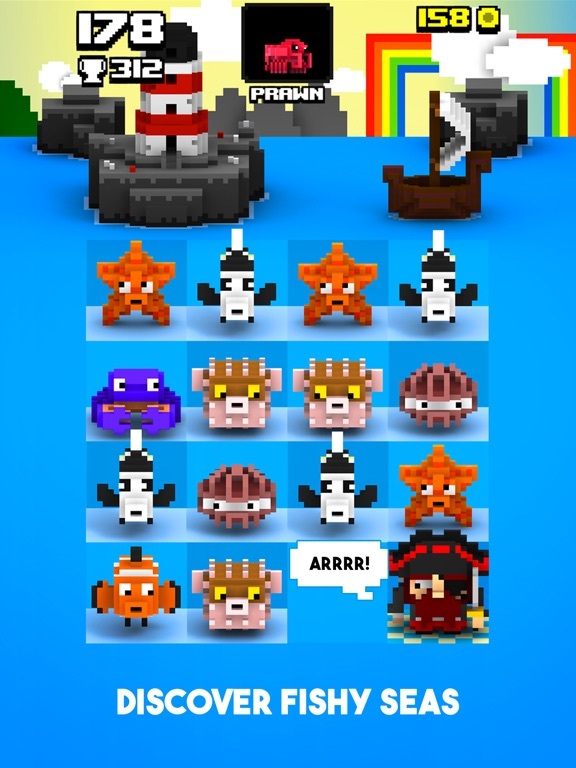 You can create combos by chaining a group of pets in the correct sequence. The bigger the chain is the bigger the combo will be and in turn your reward. Combos will earn you coins and Magic Heroes. Magic Heroes have special powers, a bit like a power up which can help you progress in the game. There are several different Magic Heroes to find with special magic powers to unleash. Hey guys, it's been very quiet. Has anybody tried it yet? This is a quiet thread. I like the peace and quiet myself. Nobody whinging about freemium, tilt controls, and why won't it run on MS-DOS. Strange Pets reminds me of something else whose name escapes me. Here we have some cute animals which is always a good start. In addition to combining pets there is a learning and memory mechanic going on which adds an extra dimension. 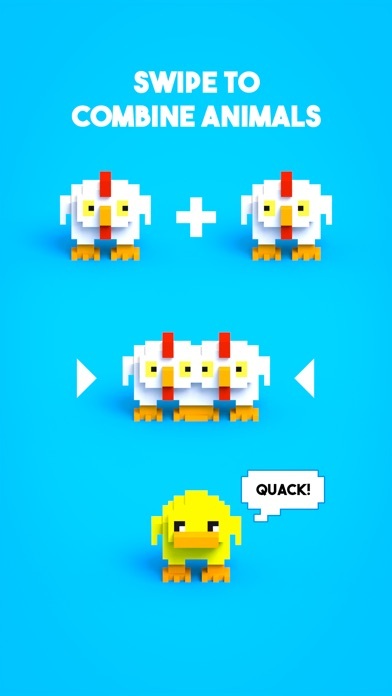 In order to develop a strategy I have to remember that a frog evolves into a chicken etc so that I can set up some future combos. I've only got as far as the fox so a long way to go yet. Magical heroes are mentioned but I'm not sure what they are. I guess I need higher combos. Good game. Bright and colourful. What's not to like? Thanks for the reply and very happy you like the game so far. Any luck with the heroes yet? Was also wondering what you guys think of the balance? Any luck with the heroes yet? Yes, have discovered some grey wizards and magic unicorns. Impressive results when combining those. The balance works well for me, becoming easier to progress once the combos are committed to memory. That was until I started a secret quest which produced a new bunch of evolutions for me to learn! That's keeping me interested though and I've now seen the spider and brown dwarf. There is more to Strange Pets than meets the eye and it's well worth taking some time to understand the workings. Hi guys, is anyone having any trouble being able to "Continue" from the continue screen? Never had any technical troubles with 'continues'. Works fine with ads or coins; though in practice I don't use this option much. Only if I'm on a good run with a high score. Otherwise it is better to start over. Continuing won't help with a poor board position. It gives this genre a face lift and something new to look at besides numbers and letters . Unlockables and something to entertain you while your waiting. Great to hear there are no tech issues. Totally agree, we wanted the decision about "when is the right time to invest your coins" to be part of the gameplay. Thanks for the great feedback and hope you're enjoying the game! Wow, I just checked the leaderboards this morning and I'm really impressed with "phbo" who got 204 magic heroes so far. Hi guys, I've released an update. We've improved the UI and the early progression curve so it's a little easier to progress in the early stages. 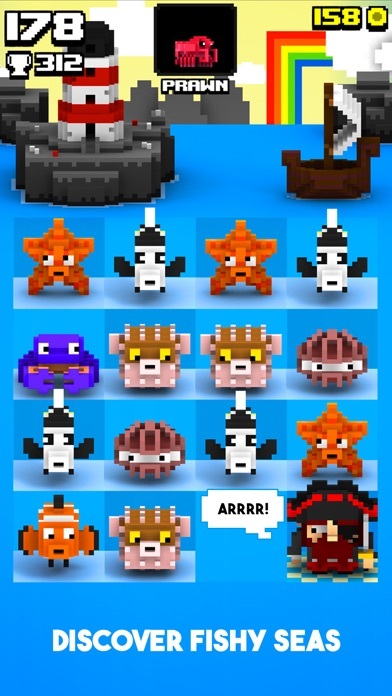 Now there's also pirate heroes! Say hello to " Barbarossa"! Anyone tried the new update yet? Wondering if there's any thoughts about the new early progression curve? 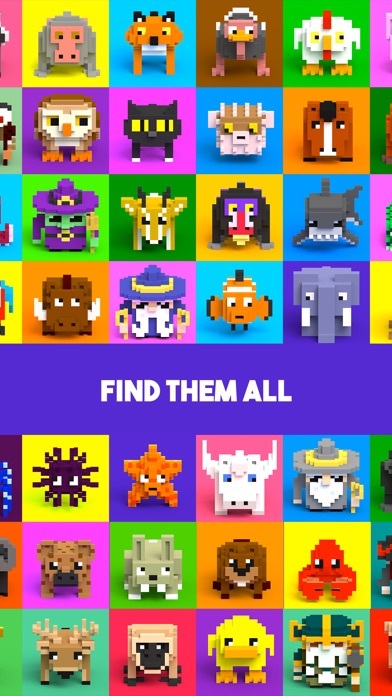 I see that "phbo" now has 249 heroes! Genius playing or extremely lucky. It's a little easier to gain heroes with the new progression curve but not that easy. The improved UI looks good. Hi guys, new update is out! We made some tweaks to the controls, improved UI, added Portuguese localisation, brand new icon and screenshots. Lemme know what you think. With the new update Ive noticed the board is a bit more balanced at the start, this makes it a bit easier to progress, Thats nice when starting and trying to get the hang of the game/combos.. 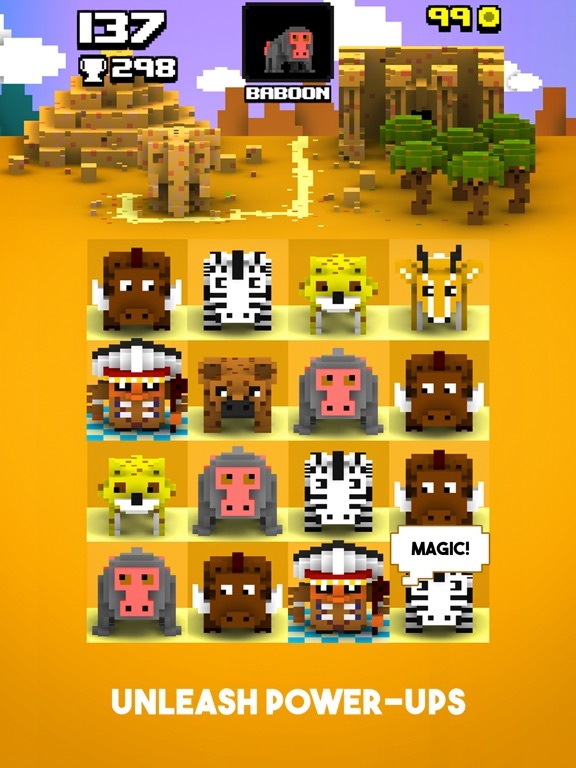 I have noticed something not sure if it was intentional or not...but when you make a combo it adds an additional 2 more animals to the board ...so the more combos made the more added animals ...it's hard to get anything paired with so many additional peices being added. 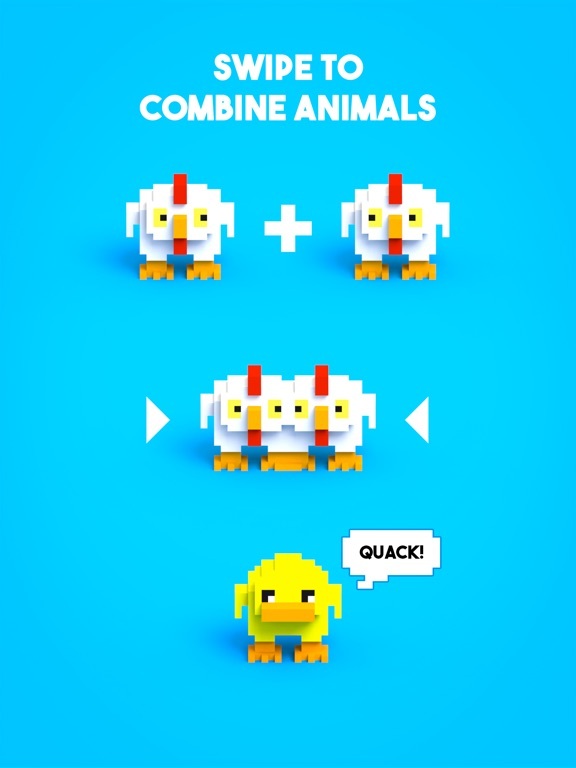 It's a no win situation creating combos adds more pieces plus the new animal the combo created (3) ...so it's hard to make progress. For all I know that could be the whole idea, short gameplay being ideal.?? I don't usually play high score chasers, they just don't appeal to me the way games with clear goals, missions, quests...etc. However there's just something about this that keeps me hooked Its really addicting! I can tell by the updates and devs involvement here that they care about players thoughts and opinions and are honestly just wanting to put out the best game possible ...I admire and respect that 100%. We're gonna look into ways to make it more clear how players get their magic heroes. About the combos, it is intentional. 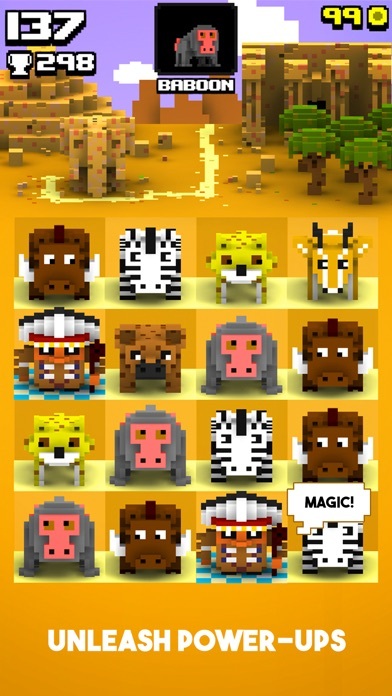 I remember early on during dev we had a version which added just 1 extra animal regardless of the combo size. But we found that version became too easy and as not as fun. It was actually difficult to fill up the board and come to any danger of losing so we ended up playing a same game for too long without much challenge. So we reverted back to adding more than 1 after combos. It's possible the current version is a bit brutal though, so we'll see if we can improve. It's very tricky balancing this game. By the way do you have any strategy for using Continues?